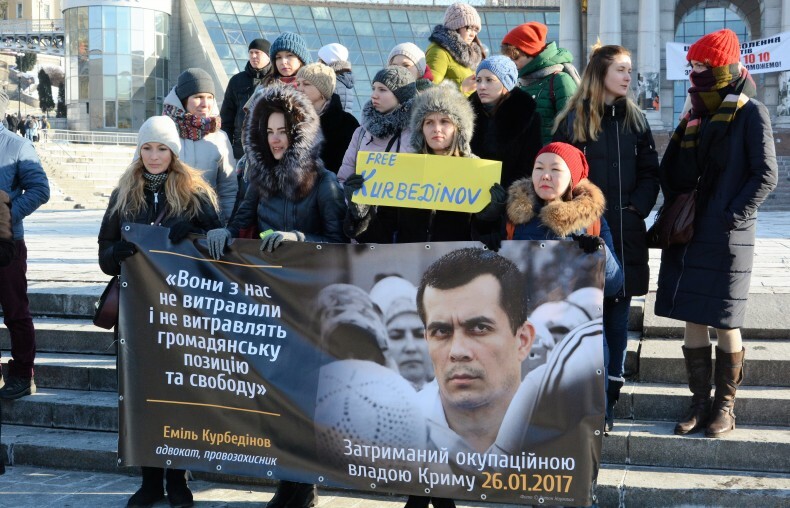 On the 31st of January representatives of Ukrainian and international human rights organizations, lawyers and activists as well as leaders of the Mejlis urged to stop the persecution of detained lawyer Emil Kurbedinov. 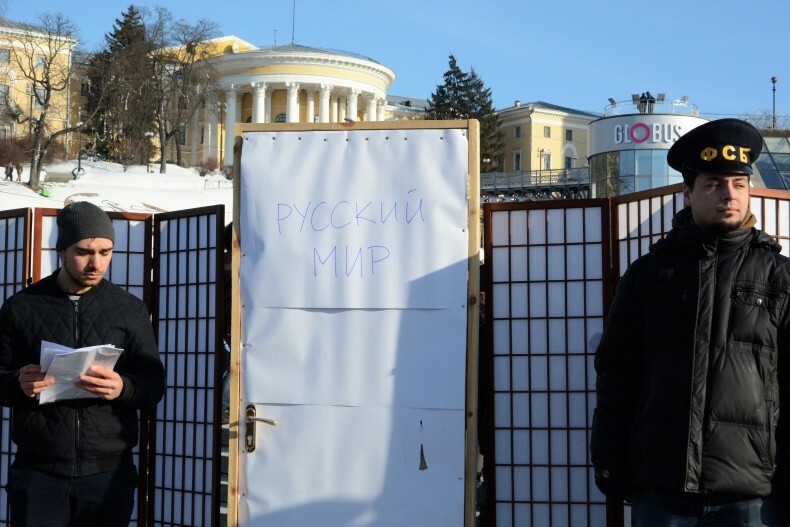 The action began at the Maidan at 14:00. 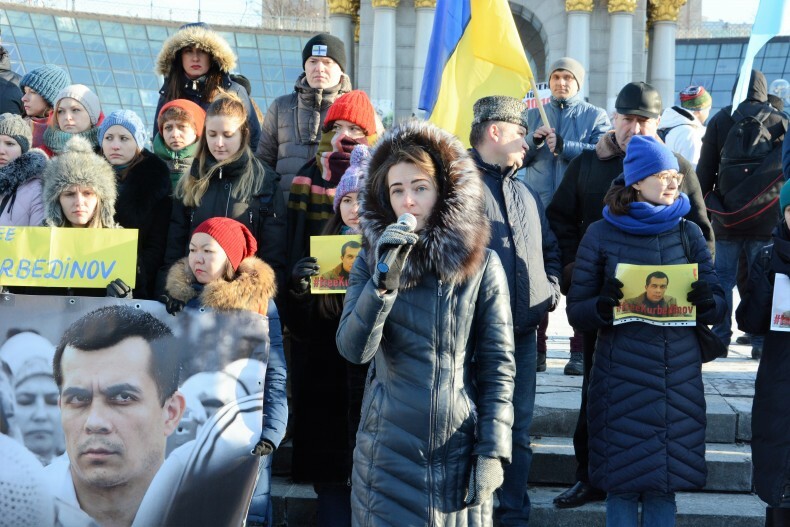 First of all organizers and participants of the action mentioned the alarming developments in Avdiivka, Donetsk Oblast, which found itself under fire of rebels. Early in this day a state of emergency was declared in this town. 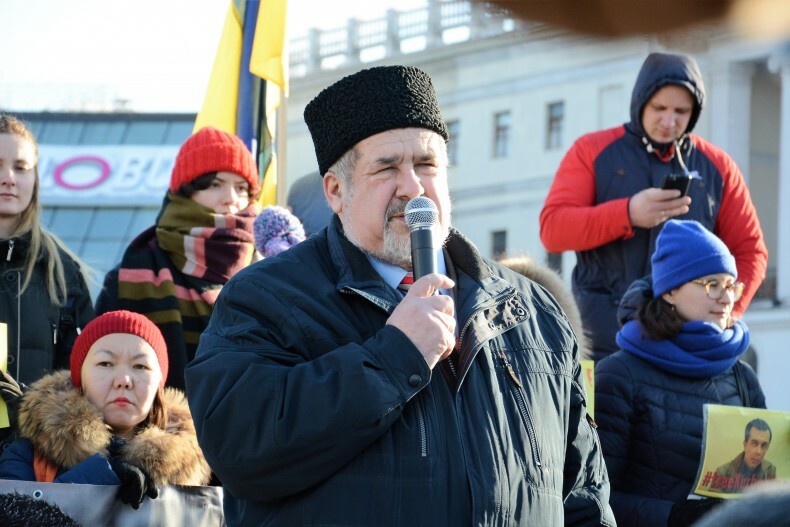 Chairman of the Mejlis and people’s deputy of Ukraine Refat Chubarov called the Verkhovna Rada of Ukraine to gather for a special meeting due with this events. 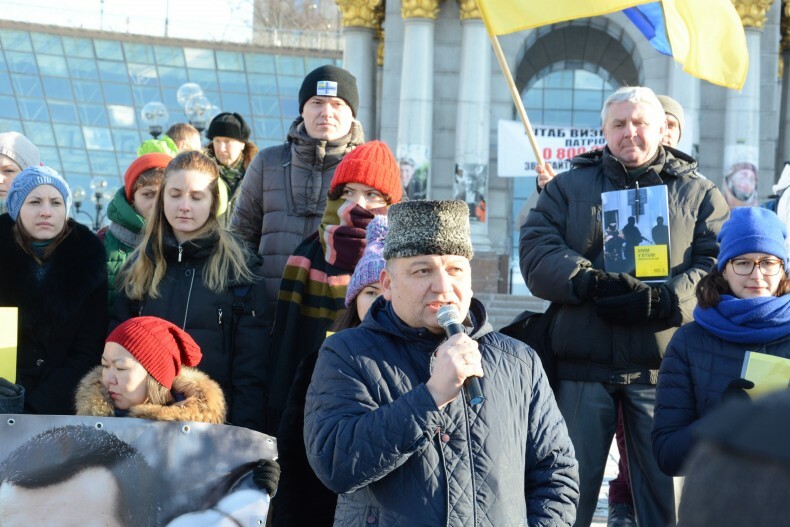 On 26 January, the lawyer Emil Kurbedinov was detained in Bakhchysarai. 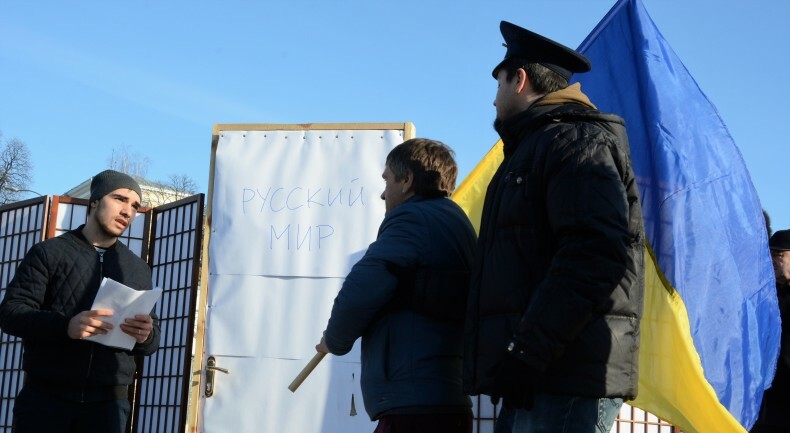 During the arrest, he drove to the house of Crimean Tatar activist Seiran Salirev, who was searched at that time. In the same morning, the office of Mr. Kurbedinov and the lawyer Edem Semedliaiev was searched in Simferopol. Mr. Kurbedinov is a defender of detainees in the case of Hizb ut-Tahrir, the case of February 26, and attorney of Ilmi Umerov and journalist Mykola Semena. Center “E” accuses him of “spreading extremist materials” under Article 20.3 of the Code of the Russian Federation on Administrative Offenses. 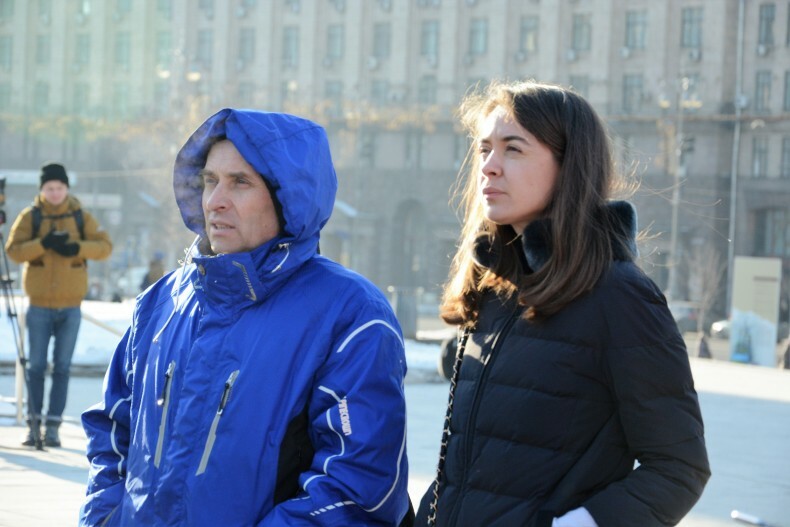 Mr. Kurbedinov was sentenced to 10 days of administrative arrest. 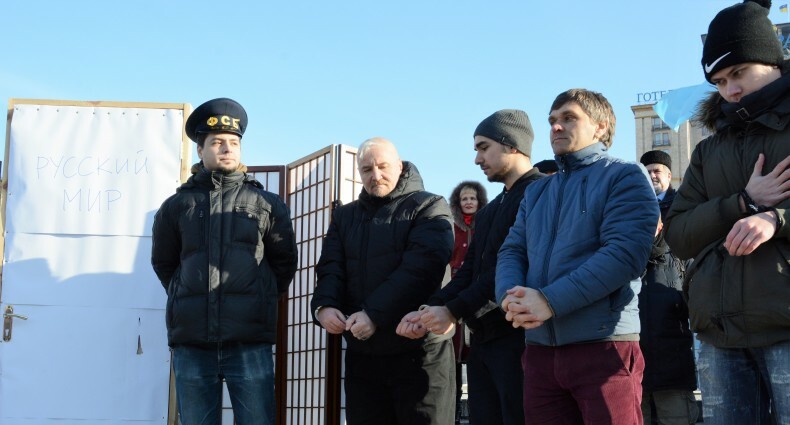 Human rights defenders and state officials called for raising public awareness about the case of the detained Crimean lawyer and a new round of repression in the occupied peninsula. 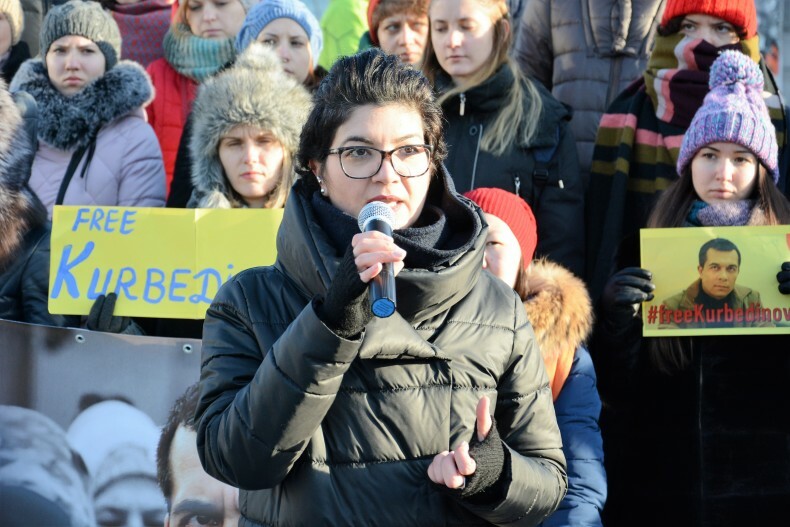 The support of the detained and the request to release him was expressed by international and Ukrainian human rights organizations, Ukrainian and Russian lawyers. 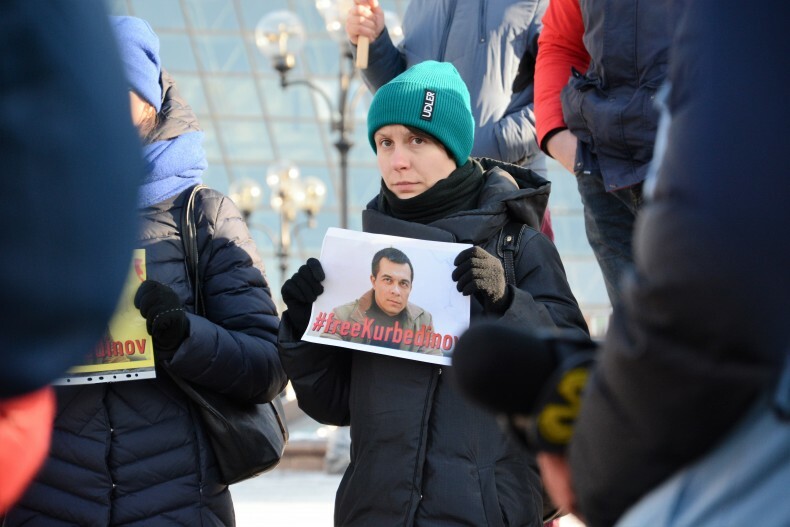 Amnesty International declared that Mr. Kurbedinov is a prisoner of conscience. 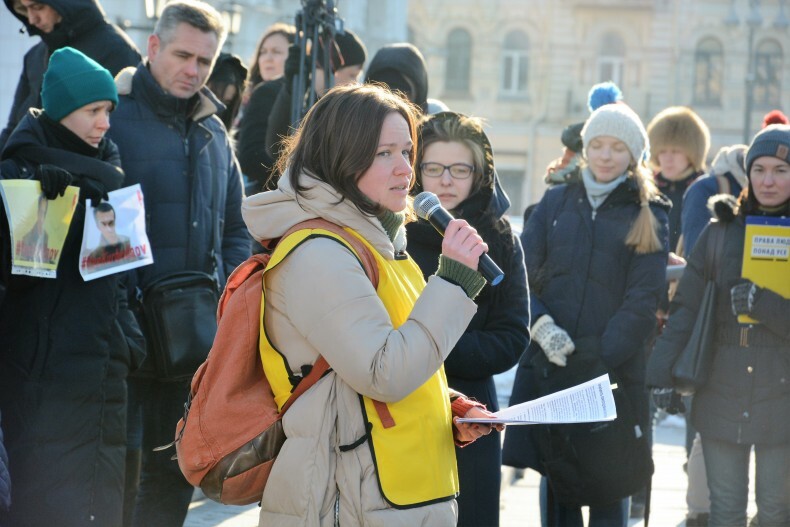 Crimea SOS, Media Initiative for Human Rights, the Ukrainian Helsinki Human Rights Union, the Center for Civil Liberties / Euromaidan SOS and the Information Centre for Human Rights organized the action at the Independence Square. 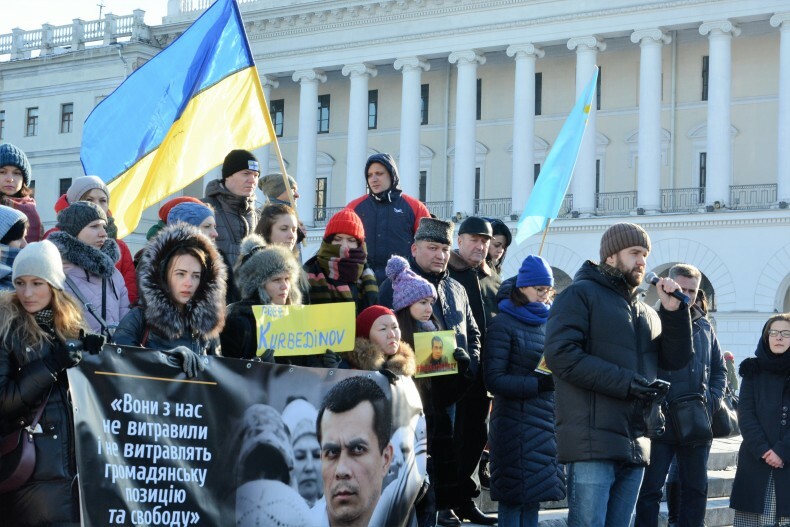 The theatrical event illustrated the struggle with dissidence in occupied Crimea, the persecutions of ethnic Ukrainian and Crimean Tatars, and all who disagree with the unified and repressive imperial policy of the so-called Russian World.